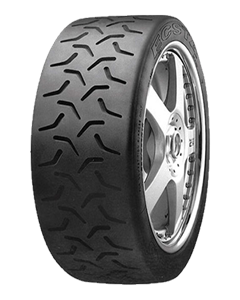 The Kumho Ecsta C03 tyre is an FIA approved moulded pattern tyre, designed for tarmac rally use. It has proved to ultra successful in tarmac rally championships since Kumho tyres first burst onto the motorsport scene. Having proved itself in the toughest of competition, and with a string of high profile successes in Irish rallying, it is fast becoming a 'must have' on many teams' shopping lists. The moulded pattern design gives maximum grip on dry tarmac and is available in various compounds to ensure the correct tyre for the conditions. Developed to meet the differing demands of gravel & Tarmac surfaces. We utilise our knowledge and experience from European Rally to provide diverse compounds and patterns that perform both off road and on paved surfaces. Sorry, we currently do not have any tyres with the Ecsta C03 pattern in stock.